Employees planting germinants at the nursery area of La Mesa Watershed and Nature Reserve. A leading global financial services firm JPMorgan Chase & Co.has been actively doing “good works” in partnership with ABS-CBN LingkodKapamilya Foundation’s noble endeavors. For two years now, JPMorgan Chase& Co continuously shares its resources and support through its robust employee engagement and volunteerism program, with ALKFI advocacies. 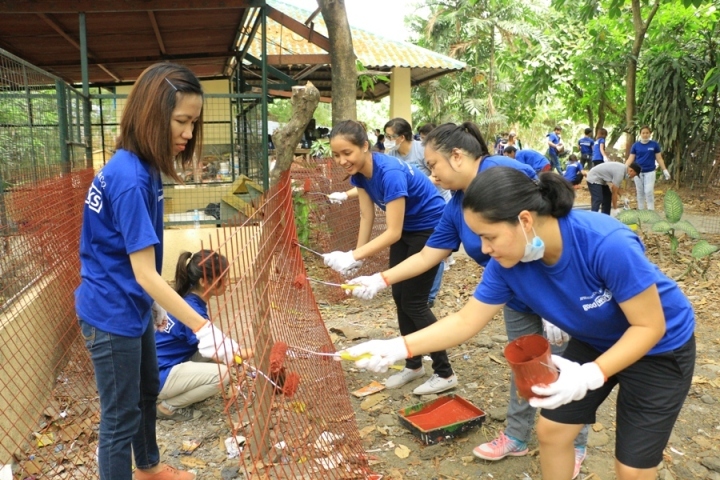 To date, five activities were conducted by JPMorgan employees in support of BantayKalikasan projects. These projects included planting germinants in the nursery area of the La Mesa Watershed and Nature Reserve for two consecutive Saturdays in April, painting the wall plants at La Mesa EcoPark, gift-giving and children activities at Paco market, and a two-hectare tree planting activity at La Mesa Watershed. JPMorgan Chase employees in the nursery area.